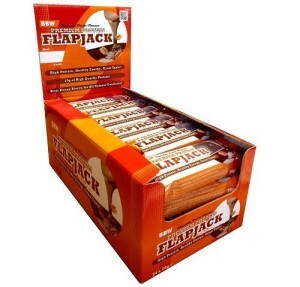 Bodybuilding Warehouse Premium Protein Flapjacks are the ultimate athletes snack bar. They taste fantastic in both Honey Berry, and Chocolate Pecan flavour – these are bars that you’ll LOVE to eat, and enjoy, every time you take a bite! What’s more, they’re packed with goodness! - Over 18g of High-Quality Protein! - Over 35g of High-Quality, Slow-Burning Carbs! - Just 2g of Sugar! - Our Protein Blend – premium quality Milk Protein Isolate and Whey Protein Concentrate, to give both fast and slow release proteins ideal for any time of day. - Our Oat Blend – high-quality Rolled Oats, Malted Oats and Oat Flour, to ensure steady energy, with NO sugar high between meals. If you’re often out and about, and don’t always have a healthy meal handy in the office, or car, or gym bag, Bodybuilding Warehouse Premium Protein Flapjacks are perfect for you. Never miss another meal by keeping our high-quality Protein Flapjacks in your gym bag, or glove box. Try your first box today and enjoy!